Sedans, light-duty trucks, and SUV’s can all be powered with natural gas while retaining nearly the same engine power and fuel efficiency as their gasoline-powered counterparts. There are many different companies that offer conversion kits that can be installed by a trained professional. For a complete list of after-market kits that are certified or approved by the EPA, please click here. There are currently over 300 commercial vehicles in the Omaha metro that run on CNG. They are of all vehicle classes from light-duty sedans to heavy-duty tractors. 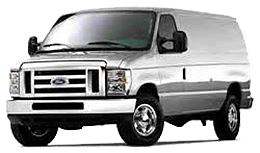 GMC Savana, Chevy Express, and the Ford E-Series are examples of commercial vans that are currently running on CNG locally. 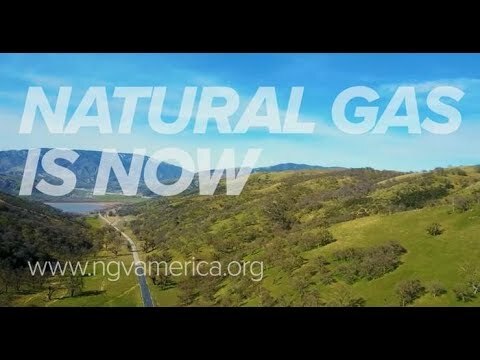 There are many benefits of operating natural gas vehicles including lower maintenance costs, lower fuel cost and substantial decrease in greenhouse gas emissions compared to petroleum-based fuels. M.U.D. has a ‘CNG Fleet Fund’ that companies may apply for to get assistance on the incremental cost of new CNG vehicles. To apply for these funds or further information regarding CNG vehicles, call 402.504.7185. CNG can power almost any size vehicle without losing any power. Transit buses, school buses, refuse trucks, concrete mixers and semi-tractors are examples of heavy duty vehicles that are converting to CNG at a high rate. 1 of every 5 transit buses sold today in the U.S. is running on CNG. 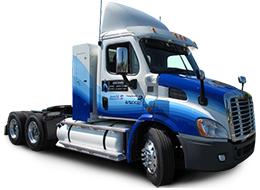 Besides the obvious fuel savings and environmental benefits, one of the largest advantages of running CNG is the noise reduction. The average natural gas engine runs 10 decibels quieter than a comparable diesel engine. This is especially beneficial to refuse trucks that service residential and downtown areas. Tractor-trailers have also seen an increase in production especially as further infrastructure begins to be developed strategically throughout the region. These class 8 trucks can receive their return on investment at a higher rate due to the low mpg and high miles that they run annually. Contact the District's NGV Specialist or call 402.504.7185 with any questions regarding CNG vehicles.